In the previous episode of this short series Mission: Translating a Website, we explored a number of theoretical aspects of how to translate a website, or rather a theoretical approach of how they should be seen as. In this article we will look into the task of the website translation in a more practical flare. A document containing the text of a website could arrive in your inbox in a number of different formats or forms. I am a Trados user so my examples are based on this CAT tool. In translation jargon, professionals usually refer to strings of a website. Before we continue, it is important to understand what a string is. Traditionally a string is a collection of characters and/or some kind of variables. All these strings are loaded on the website’s environment (Joomla, WordPress etc) and they appear on the website. A more in depth explanation is given by Wikipedia here. Now this format is the easiest of all! Usually, the original text that was loaded on the website is saved by the client and this is distributed to translators. Sometimes, the text is the product of Copy & Paste on a Word file. The strings in this format do not contain any strange signs or incomprehensible symbols. A translator approaches the text just like any other, as there are no technical issues involved. Apart from the fact that some strings are single words that stand alone and the translator needs to visualize their position on the website, this type of a document file does not hide any dangers or traps. It is quite clear and straight forward. The final version of the translation is sent to the client, who in turn loads the text in the appropriate text boxes of the website’s environment and that is that! It can be that an original text of your source language is sent to you in a Trados Editor file. When opening the file, strange symbols and signs such as are visible. These are called tags and the secret when translating files in the Trados Editor environment is to religiously copy the tags and place then in your translation. Tags should not be placed randomly anywhere in the target segment, but next to the appropriate word. What I tend to do in order to be sure that the right tag is placed next to the appropriate word, I simply copy the original segment and paste it in the target segment and translate the words around the tags. Wrongly placed tags are eliminated in this way. What are these tags used for, one may wonder. Most of them are format variations, like bold writing or underlined words and/or sentences. Some are dedicated to spacing, fond size and others indicate hyperlinks etc. Again, when the client receives the final version of the Trados Editor file, all that needs to be done is to be loaded on the website. Both methods described above are used by clients and translators alike in order to have the content of the website translated into a foreign language. 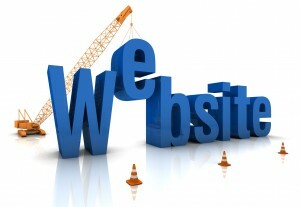 Have you translated the content of a website? Which method did you use? Which is your favorite one?